Ginger paste - 1/2 tsp. Roasted cumin powder - 1/4 tsp. Pav bhaji masala OR Garam masala - 1/2 tsp. Cook rajma alongwith salt until soft, drain water and pulse in a mixie for a few seconds alongwith powdered cashew and ginger paste. Add all ingredients, mix and knead well without any lumps. In a spoon of oil, saute this mixture for 2 minutes. When cool, divide into equal sized balls, shape to pattice or kebabs. Dissolve corn flour in 1/2 a cup of water. Dip the pattice in this solution, coat in bread crumbs and shallow fry until crisp on all sides. It can also be deep fried. 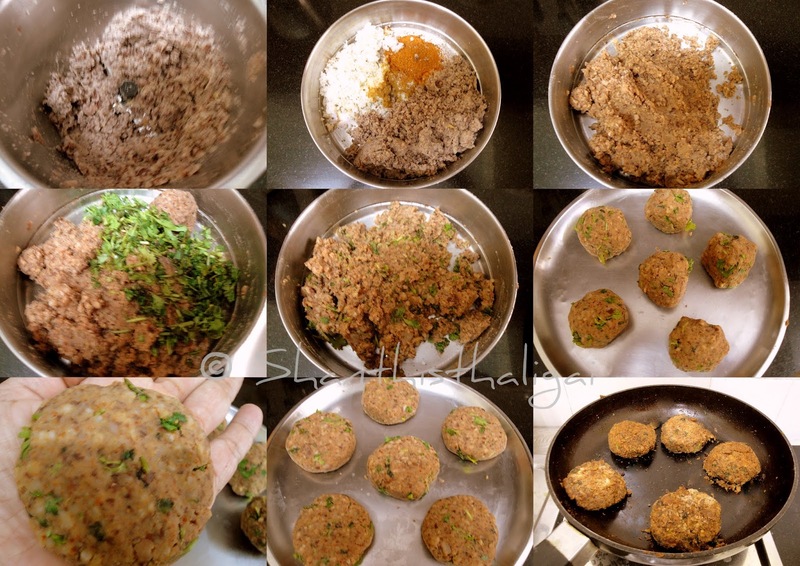 Healthy millet rajma patties is ready. Serve hot with tomato ketchup and tea. NOTE: Sauteed onions can be added to the mixture. Ginger garlic paste can be used instead of ginger paste. Healthy n tasty... Nice presentation..
Looks an easy and soon to become favourite evening snack. Nice idea to include millets and rajma. Very tasty ..Woderful preparation as well.